Batman: The Killing Joke, the animated adaptation of the classic graphic novel of the same name is finally available to order digitally, and despite mixed reactions from critics and fans alike, it has served as a great topic for conversation through many different ways. Whether it is through the narrative decisions, the animation itself, or what the film explores, fans have been left with hours of discussions, and it looks like Batman voice actor Kevin Conroy has his own two cents on how he feels about the film’s exploration of the caped crusader. Conroy, who is considered a legend to comic book fans for voicing the Dark Knight in Batman: The Animated Series had an interesting perspective on the film. 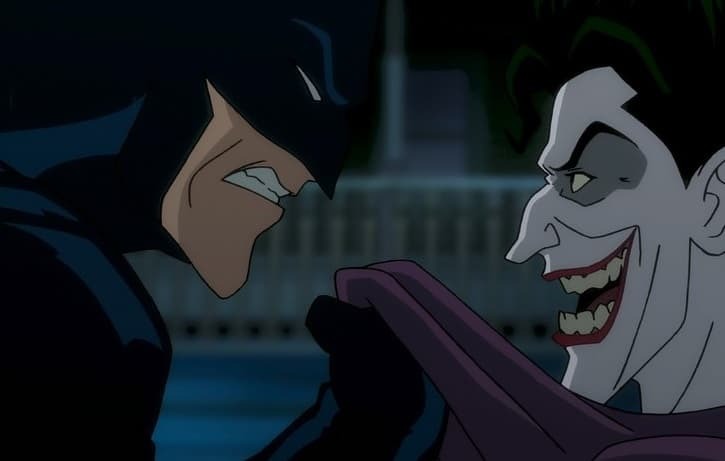 During San Diego Comic-Con, Conroy was interviewed by comicbook.com about the experience of bringing the graphic novel to life, as well as how he felt about the themes that The Killing Joke portrays. This is actually a new experience for me, I was not as familiar with it. I had heard of it of course because it’s famous and it’s iconic but I’d never actually read it. Mark introduced me to it. Once I got turned on to it I thought, “Oh my God, I so want to be a part of this.” It’s dark and you really get to explore areas of Batman and the Joker that you haven’t seen before. That’s why they had to go with an R rating. There’s just, you couldn’t be true to the story without doing that so I love doing it. Mark (Hamill), you know we have a special relationship working together. It’s the iconic conflict of good and evil more so than in any of the other Batman incarnations. Conroy will reprise his vocal talents in the upcoming animated series, Justice League Action along with Mark Hamill who is also set to lend his voice as the Joker once again. Batman: The Killing Joke is now available to own digitally and will hit stores on Blu-Ray on August 2. Three days later, you can see Batman on the big screen when David Ayer’s Suicide Squad *finally* hits theaters. What a great week for DC fans.